When you use the Service, we may collect passive information about your visit. Passive information is any form of aggregate data, navigational data, tracking data, click-stream data, or historical data. It may include the domain name of your internet service provider (e.g., whether you logged on from aol.com or whitehouse.gov), referral data (e.g., the address of the last URL you visited prior to clicking through to the Soft-BabeZ website) and browser and platform type (e.g., a Firefox browser on a Macintosh platform). We use this information to track how users are accessing and using the Service. These kinds of information do not, on their own, personally identify you. However, they can potentially be combined with information obtained from other sources in order to identify you. Soft-BabeZ does not ordinarily seek or obtain personally identifying information about users from others. It does reserve the right to seek such information in the event of a violation of the Soft-BabeZ Terms of Service, in the event of a dispute between Soft-BabeZ and you, or if required by law to do so. Soft-BabeZ may allow you to submit and communicate audio and video content, text, links, and other content (“User Content”). Except with respect to User Content that you are expressly allowed and enabled to keep private using the Soft-BabeZ Community uploading function, User Content that you submit to Soft-BabeZ or communicate using the Service, including any personal information included in your User Content, becomes publicly available and can be seen, collected, and used by others. Once made public User Content cannot be made private again. 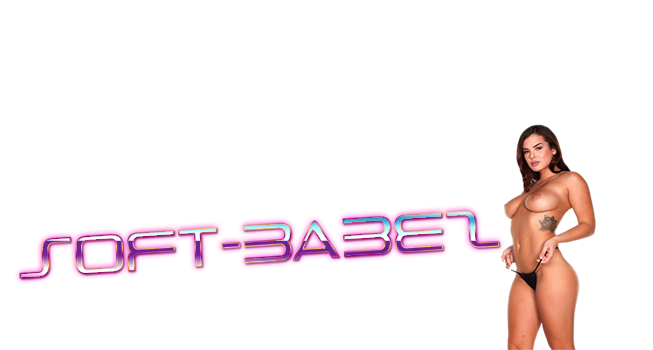 In addition, User Content you communicate using the Service may be recorded, stored, copied and/or retransmitted by Soft-BabeZ, including but not limited to audio or video content submitted to the Soft-BabeZ Community, Soft-BabeZ Blog. You should not submit or communicate any content using the Service that you do not want to be seen, collected, or used by others. In the process of posting User Content, you may be asked to provide some personally identifying information, such as your name, address, e-mail address, a password, and other documentation. You may also be asked to provide such information in order to use certain features of the Service, including but not limited certain features of the Soft-BabeZ blog available only to registered users. We will keep a record of the information you provide, including your personally identifiable information. That information may be linked in our records to other information you provide, including User Content. We will not publically post your name or other personally identifying information, and we will not provide such information to our advertisers or business partners without your permission. However, some of the information you provide in registering for and using the Soft-BabeZ Community feature will be displayed to other members of the Soft-BabeZ Community, and may become public. In addition, we may disclose the personally identifying information and documentation you provide in some limited circumstances, as set forth below (“Permitted Disclosures of Personal Information”). We do not share personally identifiable information about users of the Service in the ordinary operation of the Service, unless you have included such information in User Content that you submit or communicate using the Service, such as through the Soft-BabeZ Community feature. We may obtain and merge information about users and usage of the Service into aggregated data, which may then be used by us and/or shared with advertisers or others. When we provide aggregated information to outside companies, they will not be able to identify you or contact you based on that data.